Part of any compliance management standard involves the control of documentation. Whether it is ISO 9001, ISO 14001, Good Manufacturing Practices (GMP), or other regulations, the document control element is an essential part of any framework. The controlling of documents is essential to ensuring you follow procedures that are revision controlled, centrally managed and meet the guidelines set forth by frameworks like ISO, as well as your organization. EtQ’s document control software module routes SOPs and other records through a review and approval routing process that includes the draft, document control review, review, final approval, awaiting release, and approved phases. You can also control who is responsible for each phase, what they are allowed to edit or read in each phase, and how long they have to finish each phase. 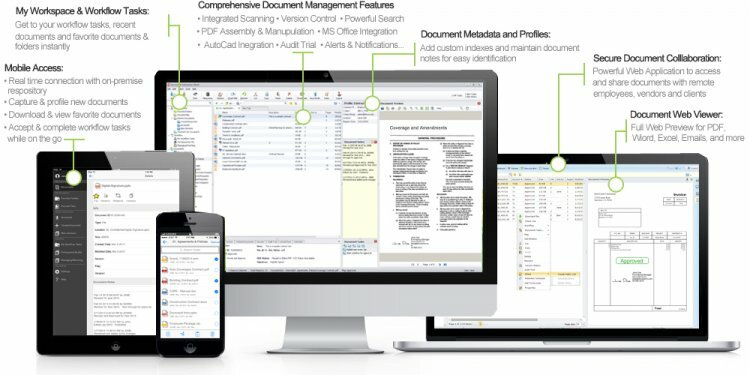 EtQ’s document control management system also gives you the ability to run either a completely paperless document control system, or a system that combines hardcopy with online distribution of documents. Users are automatically notified if they need to approve or review a newly released document or update an existing document. Both the assigned document control owners, as well as departmental groups can access the document directly from the email by clicking on the link to a browser page that allows them to approve, review, or void the document.